There is a distinction between “as found” drawings (drawings that depict the reality of an existing building as it is “found” today) and drawings that were “found” in a search to locate historical documentation about a building. This is not to knock the value of original drawings that are sometimes available when working on an historic structure. Its just a reminder that original drawings do not always provide accurate descriptions of what was built. Depending on when and how the building was constructed, design drawings sometimes were more like polite suggestions. The other issue with “found” drawings is how they are converted into CAD drawings or BIM models. Care must be taken to avoid a messy foundation for preservation work. Last spring I did some work at Franklin and Marshall College in Lancaster, PA. I prepared a combination of measured drawings in CAD linked to rectified photographs of the three oldest structures on the campus. These were then used as base documentation for an assessment of the existing conditions of the masonry surfaces across the extent of these buildings’ exterior facades. The sequence of this work went roughly as follows: I first shot photos of all of the buildings from points of view available on the ground (using a specially calibrated digital SLR). Back in my offices in Virginia I used photogrammetric software to “back calculate” the camera stations and to make precise 3-D measurements of points on the three structures. 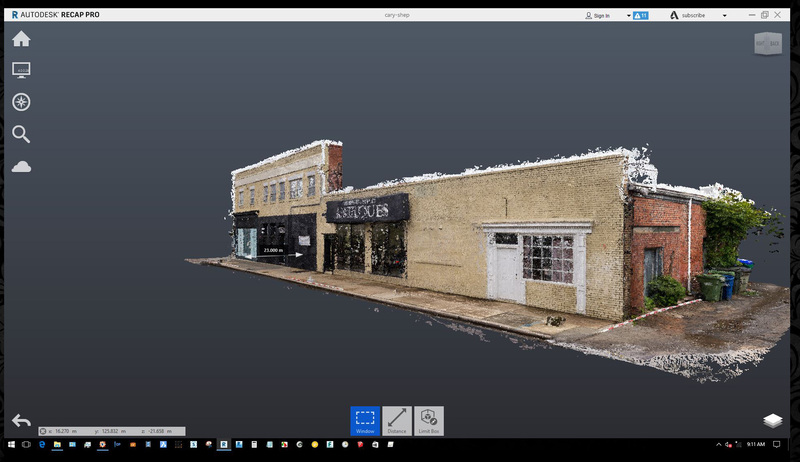 I used this dimensionally accurate point cloud as a reference to create rectified photographs of the surfaces visible from grade. Using the point cloud and the rectified photographs I then created measured line drawings of the structures and laid them out onto tabloid size sheets for use in the field. These were taken by hand up into an aerial lift so that conditions could be noted with a fair degree of accuracy once assessment were made both visually and manually. Once the assessment was completed the data recorded on the field sheets was entered in the CAD drawings. At this point the line drawings in CAD were enriched by a mosaic of rectified photographs visible inside of AutoCAD. This allows for an accurate transfer of notes from the field to eventual construction documents. A sketch of an area or region can be transferred to CAD and become dimensionally reliable. This is a very important step because it provides for an accurate tally of areas to be treated in one way or another. Since the main structure was rather tall, I also returned to the site to go up in the aerial lift to collect more photographs to further enrich my drawings with better rectified images of areas that were either blocked by vegetation, neighboring buildings, or were too foreshortened to provide good rectified images.